If you're bored in Miami, then you're just not doing it right. At any given moment there's some kind of fun place to be, thing to do, or deal to take advantage of. Here's just a few happening over the next week or so that are worth checking out. 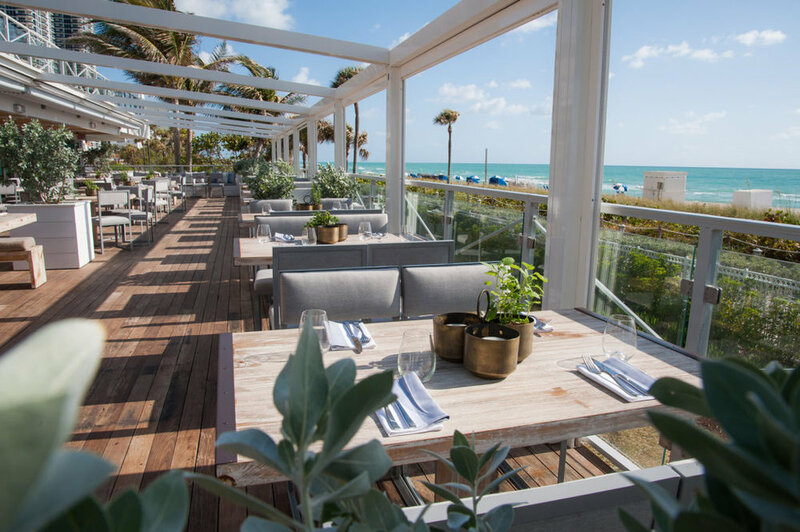 Celebrate National Wine Day on Friday, May 25 at Miami Beach's newest dining destination Malibu Farm Miami Beach. For $12, guests can order a flight of 4 wines and can choose between a flight of Rosé, white or red wine. Red, white or Rosé wines cannot be combined in the same flight, and flights can only be made up from wines offered by the glass. Join us as we celebrate the 3rd year of DRINK MIAMI HOSTEL bringing the best brands and bartenders to showcase trendsetting cocktails in the historic Freehand Miami Beach! Taste more than 20 hand-selected spirits in unique settings as you explore cocktails and experiences in each hotel room. Get educated with one-on-one interactions with some of the best Brand Ambassadors and bartenders in the industry while cocktail hopping through the property. Expect an event like no other with plenty of surprises along the way. Doors open at 1pm! Get your tickets here! On Saturday, June 9th, in honor of Negroni Week Miami, Minnow Bar will host the first annual “Bitter Battle” featuring some of Miami’s bartending greats fighting for the title of “Best Negroni.” From 6PM to 9PM, guests will witness local industry heavyweights “battle it out” for bragging rights (and the Gold Negroni Belt! ), while sampling Negroni cocktails and dishes created by executive chef Julian Garriga of the soon-to-open Seawell Fish & Oyster. “Bitter Battle Warriors” will compete for a $500 prize, bragging rights and our custom made Bitter Battle Wrestling Belt! Confirmed participants include Minnow Bar, Area 31, The Social Club, Lobster Bar Sea Grille Miami Beach, The Food Marchand (Urbanica Hotels), and Prescribed Spirits Gin. Priced at $20 per person “Early Bird” ($30 at the door), the event ticket include a raffle entry to win a variety of prizes; a portion of the evening’s sales will benefit No Kid Hungry. Minnow Bar is located adjacent to Kimpton Angler’s Hotel at 660 Washington Avenue in Miami Beach. Tickets are available at bitterbattle.eventbrite.com. Enhancing the Asian Night Bazaar concept, expanding from the outdoor courtyard to include Jaya’s indoor dining room, the popular Asian Night Bazaar is now the Asian Night Bazaar Dinner Series. Launching on Friday, May 11th, the Asian Night Bazaar Dinner Series will feature the same fun energy and entertainment that debuted earlier this season but will now include a three-course menu with a complimentary welcome cocktail for $75 per person each Friday. Guests will also enjoy courtyard DJ music along with performances by geisha greeters, contortionists and fire dancers held at 8:30 and 9:30pm. The tasting menu will offer a variety of dishes including a first course of Tuna Tartar, Calamari or Vegetable Tempura; a second course of Lamb Chops, Snapper or Vegetable Green Curry; and a third course of a Chef’s Selection of Dessert and Mignardises. There will also be a small bites menu offered at each of hotel’s bars and in their signature courtyard pods for those looking to make the most of the luxurious atmosphere without having a full sit-down dining experience. The small bites menu will feature Salmon Hand Rolls, Oysters, Chicken Satay, and more. Reservations can be made online or by emailing dining@thesetaihotel.com. For more information, please visit www.thesetaimaimibeach.com or call 855.923.7899. Join EAST, Miami to celebrate Red Nose Day on Thursday, May 24 starting at 8PM. Enjoy complimentary wine, beer and hors d'oeuvres (with a suggested $20 donation upon arrival) in EAST, Miami's exclusive Tea Room. Take in breathtaking views, while watching the official Red Nose Day special, shopping the silent auction, enjoying light bites and more as we raise money to change the lives of kids who need our help the most. Faena Miami Beach’s opulent Asian eatery, Pao by Paul Qui is serving a $55 tasting menu, serving as the perfect pre-Spice indulgence. The three-course prix fixe tasting menu features some of the award-winning restaurant’s best-selling dishes including fresh Kinilaw, Qui’s famous East Side King Fried Chicken, tender Wagyu beef and tempting desserts. This limited-time tasting menu is priced at $55 per person and available Tuesday through Thursday. Patrons can enjoy an elevated brunch experience this Memorial Day Weekend at AQ Chop House by Il Mulino, located at the five-star Acqualina Resort and Spa in Sunny Isles. Guests can indulge in every brunch dish imaginable, from made to order omelets to freshly prepared pasta dishes and a full sushi and raw bar while enjoying live music. The all-you-can-eat brunch is $65 per person inclusive of unlimited Mimosas, Bloody Marys, Mojitos and Prosecco. Children ages three through 13 can dine for $35.